With a robust 40% MoM growth, the company plans to expand to 20 cities by 2019. 6th July, 2016. Bengaluru, India: Unitus Ventures (formerly Unitus Seed Fund), India’s most active seed fund supporting early-stage startups innovating for the masses, today announced an investment in Urban Tailor – a Bengaluru-based, customised, e-tailoring service. B. S. Nagesh, founder of TRRAIN (Trust for Retailers and Retail Associates of India) and former MD, Shoppers Stop also participated in this investment round. Currently pegged at approximately $9.2 billion, India’s highly fragmented tailoring industry has several visible gaps. While on one hand the customers struggle with unsatisfactory fitting/stitching, unpredictable delivery times and lack of customization; on the other, irregular demand-supply restricts local tailors from expansion thereby leading to low, unpredictable incomes. Urban Tailor solves this problem through its robust technology that seamlessly manages orders end-to-end and by aggregating a network of local, small tailoring units who fulfill the growing demand generation and are thus, assured of a predictable income flow. 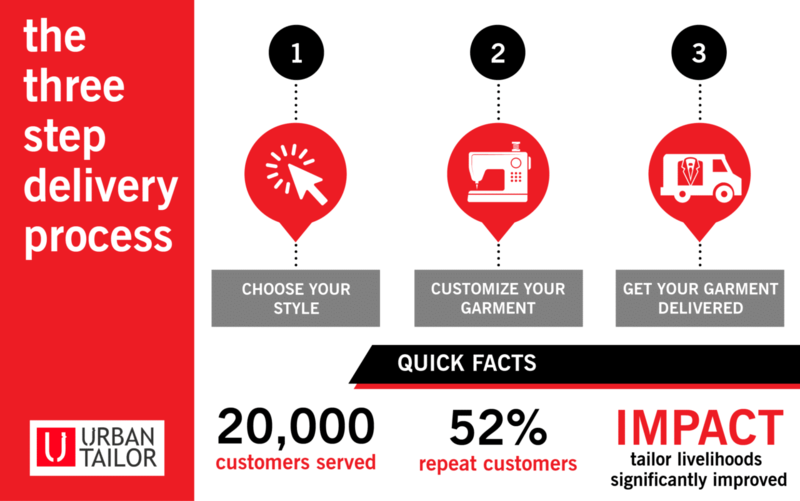 Urban Tailor follows a simple, 3-step ordering and delivery process. Once a customer chooses the style and pattern for a salwar/kameez, kurta or blouse and places an order online, the pick-up service collects the fabric and measurement garment from the customer’s doorstep. Next, customisation requirements, if any, are confirmed with the customer and the package is then sent for tailoring. Finally, the stitched product is checked for quality and a great fitting garment is delivered to the customer – all within 10 days at price points starting at INR 400. “As a working mother, time is a scarce resource for me – it is inconvenient to undertake multiple trips to the tailor to get a well-fitted garment and it is harder to find a reliable tailor at a reasonable cost in the neighbourhood. Urban Tailor makes it hassle-free by providing doorstep service and assured quality. The experience so far has been great.” says Shwetha Sharma, a software engineer and a regular customer with Urban Tailor. To become part of the Urban Tailor network, tailors and small tailoring units undergo stringent testing, quality checks and on-boarding. As the customer base expands, Urban Tailor works closely with its tailors to grow their capacity enabling them to undertake more orders and further enhance income. With Urban Tailor taking the lead on customer acquisition, allocation of orders and capacity building, tailors completely focus on their skill and on delivering a quality end product. Urban Tailor commenced its operations in March 2015 and is currently offering services across Bengaluru. Within a year, Urban Tailor has serviced over 20,000 customers recording a steady 40% month-on-month growth and 52% repeat customers. Nagesh has invested in Urban Tailor alongside with Unitus Ventures (formerly Unitus Seed Fund) and will be advising the company on strategy and growth. “We are excited to be working with Urban Tailor to help accelerate their growth. The company’s highly scalable product platform that dynamically manages supply, demand and quality of service in real-time is poised to bridge the gap for high-quality tailored clothing at an affordable price, paving the way for e-tailoring to become a preferred choice”, said Dave Richards, Co-founder and Managing Partner, Unitus Ventures (formerly Unitus Seed Fund). 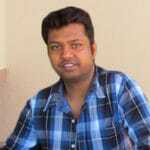 With over 15 years of experience in marketing, prior to founding Urban Tailor, Vasudevan headed the marketing and product division of Simplilearn, India’s leading online training company. He was also part of the marketing team at Myntra where he played a key role in shifting the company’s business model from personalised products to selling fashion online. 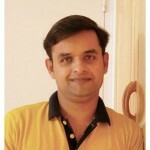 A Computer Science graduate, Ashish was a core member of Amazon India’s technology team for nearly four years working on a range of functions such as web application development, data analytics and performance optimization. 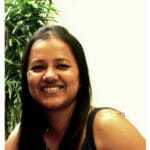 A fashion graduate from the prestigious London College of Fashion and National Institute of Fashion Technology, Lavanya worked with Myntra for nearly four years across two key verticals – online marketing and partnerships and business alliances. She was responsible for managing strategic alliances with over 500+ partner brands and bringing new brands on to the platform. Urban Tailor is an online tailoring service based in Bengaluru using a scalable technology platform to seamlessly manage orders end-to-end. Its growing network of local, small tailoring units provides predictable, high-quality stitching and alteration services to customers within the committed time.